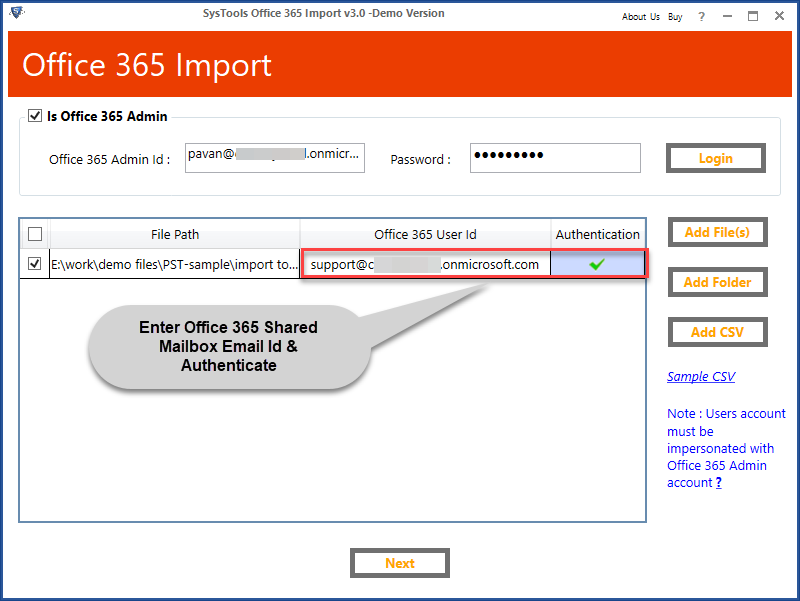 Many potential users want to know how to import PST to Office 365 Shared Mailbox? But, Why it is required? Office 365 Shared mailboxes are the special type of mailbox that not connected with an individual user. Majorly they are configured by administrator to grant access by various users such as Sales department, Support department etc. It means many users can send and receive mails from the same email address. Thus, the data received in the shared mailbox can be automatically viewed with its associated members. Therefore, if the organization wants to move PST file into several Office 365 mailboxes, then it is better to import .pst directly into shared mailboxes. This is the reason why users looking for a solution on how to import PST to Office 365 shared mailbox. 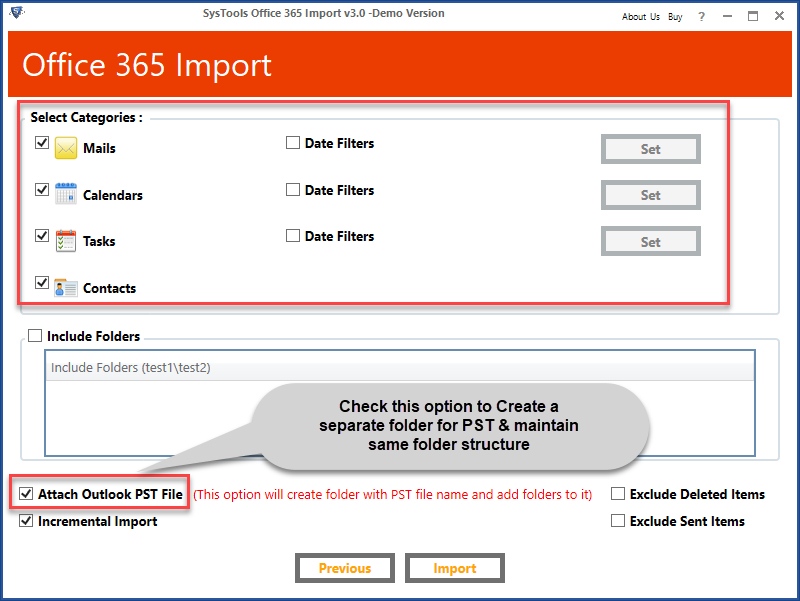 Try automated software Import PST to Office 365 Tool to migrate Oultook multiple PST files into Office 365 account. The first and foremost thing is that the complete procedure performed by the Office 365 administrator. It means no other user associated with Office 365 cannot use this method for the same. Now, to understand the entire migration process clearly, we take an example here. For the overall workaround, we need an Office 365 admin account, a shared mailbox ID, and a O365 mailbox that is the member of shared mailbox. It is advised to keep the PST folder or file name short and simple. Because many times naming convention create issues during the import process. Here, we save the PST file as ‘1.pst’. Plus, if the PST files are available on network server, so admin has to share the folder that consists of PST files. 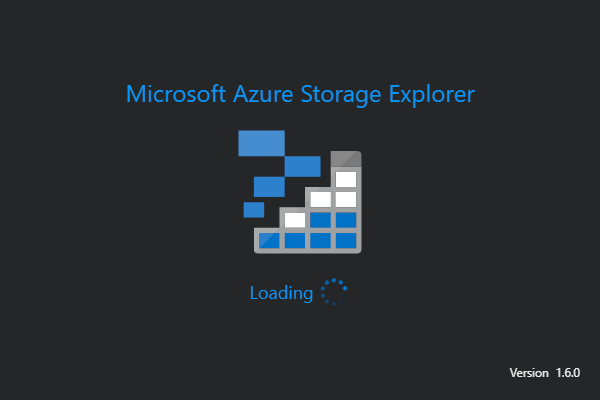 Now, after preparing the PST file, it is the time to generate URL of Azure Storage Explorer. 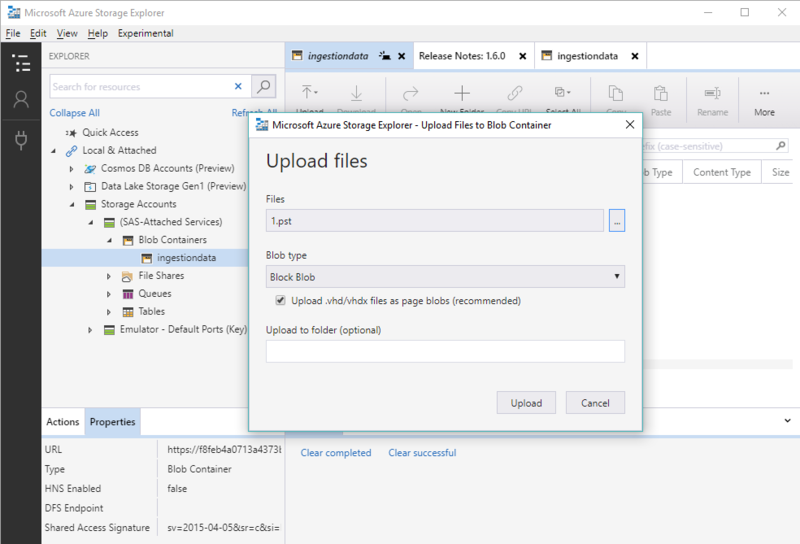 This step is very important because Azure store works as temporary storage for the PST file. And, this data file will further import into the O365 cloud. Now to get the SAS URL, you have to perform the following steps sequentially. 1. 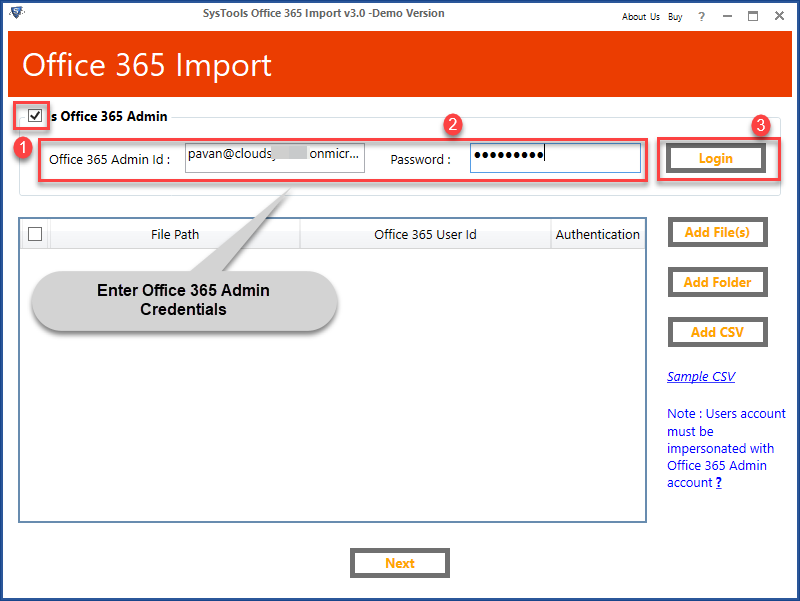 Login to O365 admin account. Here, we use pavan@cloudsystoools.onmicrosoft.com user ID. Then, click on Security & Compliance as shown in the screenshot. 2. You can either open the O365 Security & Compliance portal by pasting the following URL on browser. 3. From the Security & Compliance, click on Data governance drop-down button and select Import option. 4. Click on +New import job to proceed the process. 5. After that, in Name your job section, enter a suitable name like ‘importpst’ and click on Next. 6. On the following window, select Upload your data option and click on Next. 7. In Import data page, click on Show network upload SAS URL to generate the URL. 8. Click on Copy to clipboard to copy the URL. 9. Next, paste the URL on notepad as shown in the screenshot. 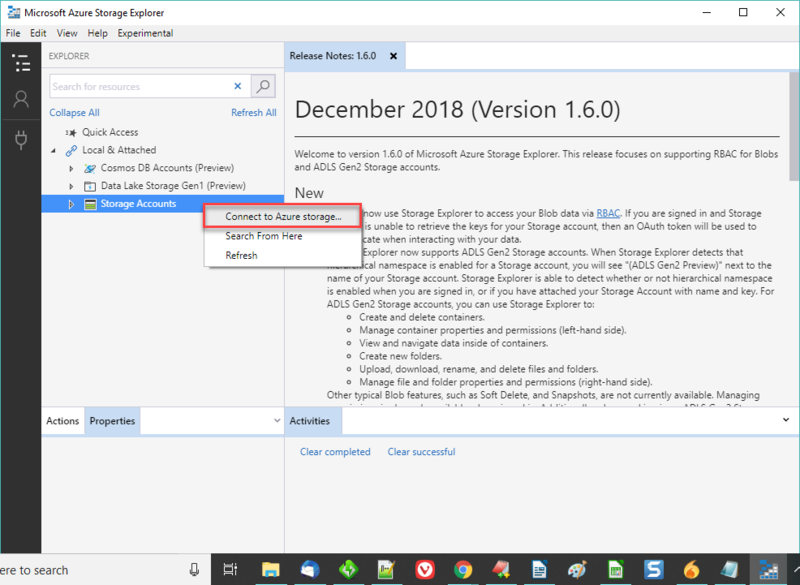 After getting the SAS URL, the next step is to download Azure Storage application on the system in order to upload PST file. To do so, use the below steps. 1. Paste the following URL on search bar to open Microsoft Azure page. 2. Select the Operating system and click on Download Storage Explorer free. 3. After a few minutes, the application installed in the machine. 5. 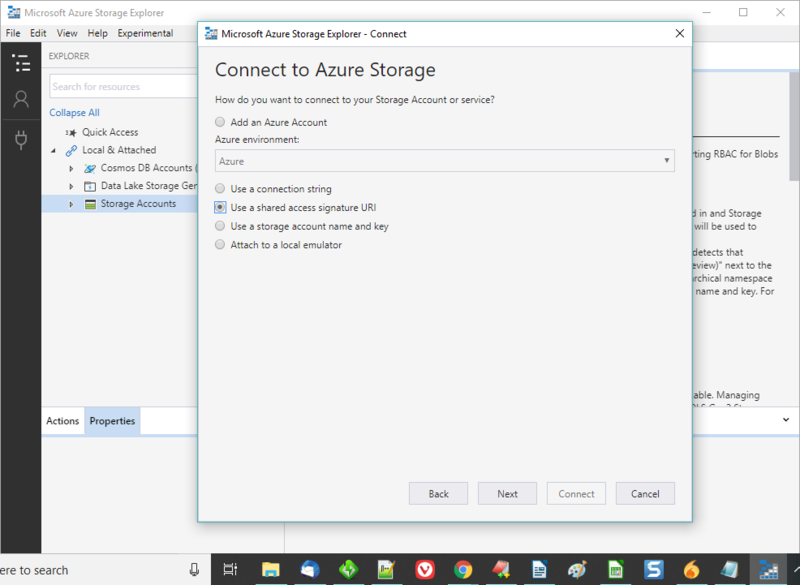 A new Connect to Azure Storage window appears, you need to select the radio button corresponding to Use a shared access signature URI. 6. 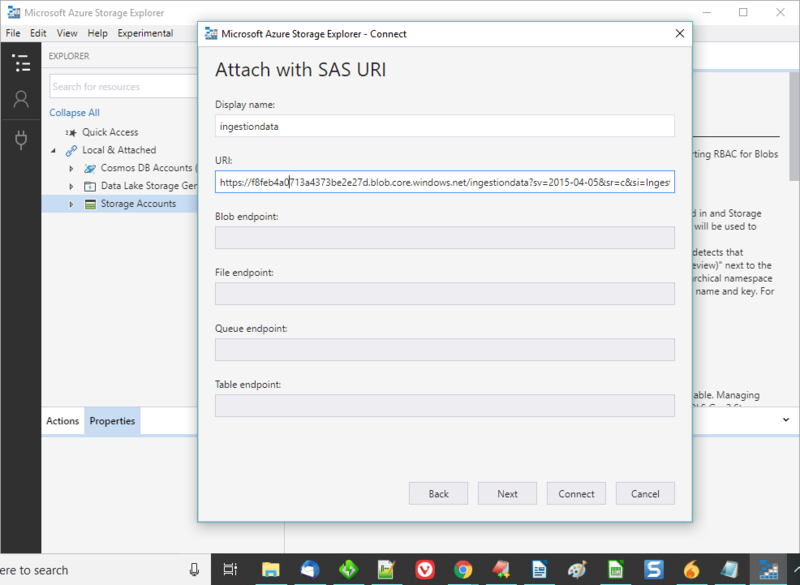 Now, paste the SAS URL that was saved in notepad in above step under the URI section. 7. 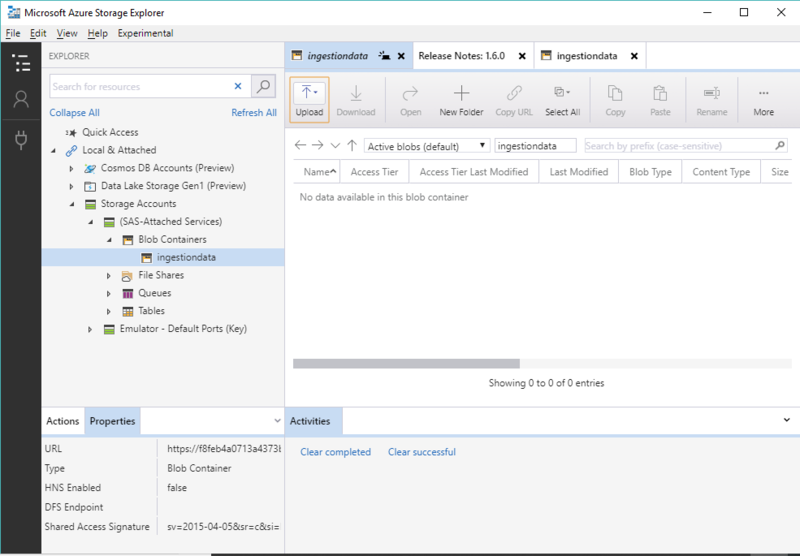 After that, a Connection Summary page appears that provides information like Display name, SAS, URL Expiration date etc. 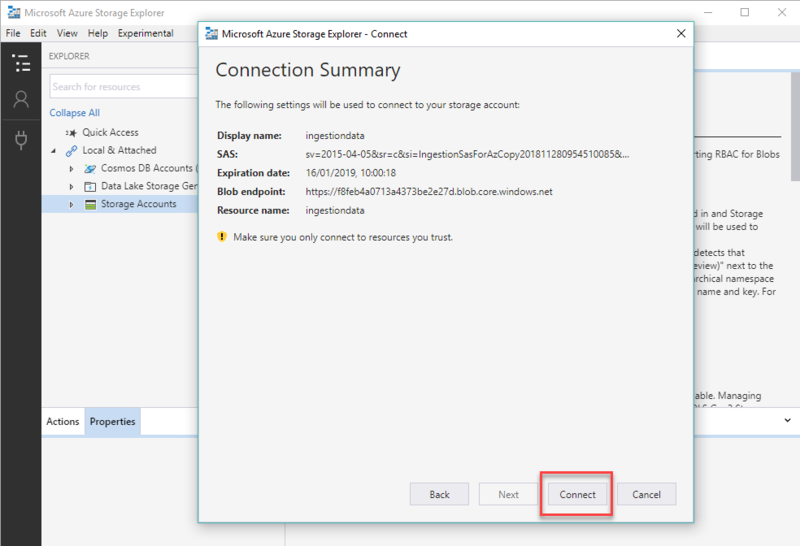 Then, click on Connect in order to link Azure Active Directory store to specified storage account. Once the Azure storage account setup, we have to upload the Outlook PST file using the below instructions. 1. From the left side navigation pane, click on Storage Accounts >> SAS-Attached Services >> ingestiondata. From the detailed pane, click on Upload button and either select Upload Folder or Upload File. Here, we select Upload file option. 2. In Upload files dialog box, click on ‘…’ to upload the .pst file. Then, select the ‘1.pst’ file and click on Open. 3. Next, click on Upload to start the process. 4. Wait until the file gets loaded on the Azure dashboard. Because the uploading time is directly proportional to the size of .pst file. 1. 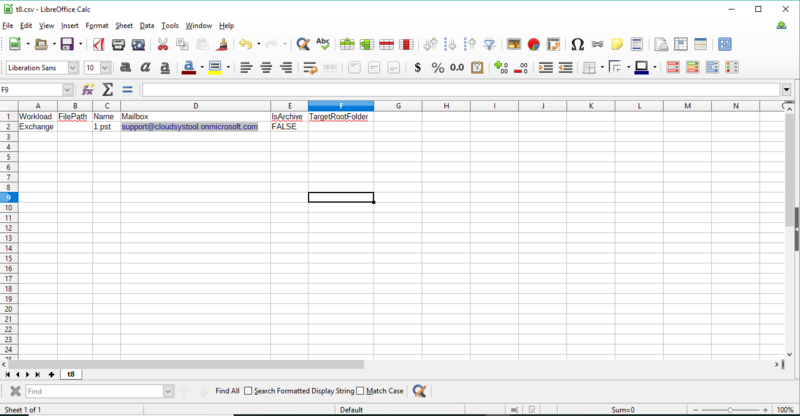 Open Excel application and create a new sheet. 2. This sheet must include the following column. Workload – Its value should be Exchange. IsArchive – If the PST is archive type, then make it True. Else, type false. Note: Make CSV file as per the standard. Once you have made the CSV file, go back to the Import data window and upload the .csv file. 1. In Import data window, select the following checkboxes and click on Next. 2. Click on +Select mapping file and upload the previously created CSV (or PST Import Mapping file) file. 3. After that, click on Validate option. This will verify the CSV file information as per Office 365 standard. If there is any error in CSV file, then the PST import process will not proceed further. 4. Finally, click on Save to add the file. 1. Once the above steps completed successfully, Office 365 starts to analyse the PST file. At very first, the analysis process is in progress. 2. Once the analysis gets completed, the status becomes changed to Analysis Completed. Finally, you are ready to import PST into Office 365 shared mailbox. 3. Now, select the PST file that is going to be migrated and click on Ready to import to Office 365. 4. 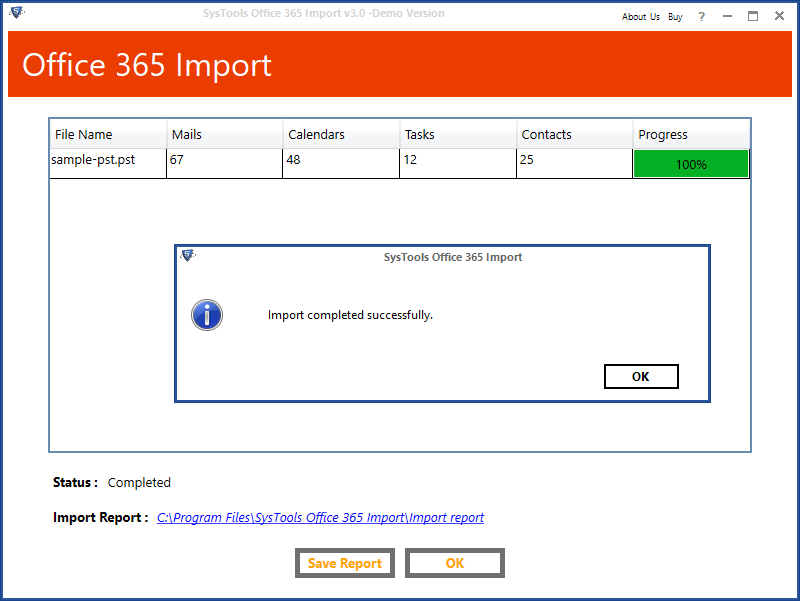 After that, to start the PST migration process, click on Import to Office 365 option. 5. On the following window, you have the option to either apply ‘import selective data’ through filter or migrate the entire data in shared mailbox. If you opt the ‘Yes, I want to filter it before importing’ option, then the following things can be performed. 6. 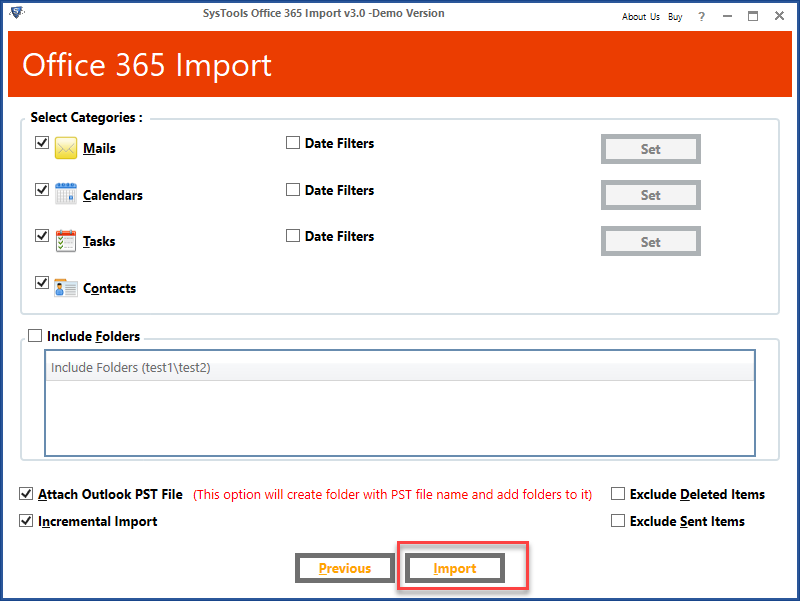 Here, we select ‘No, I want to import everything’ option to import entire data of PST file into Office 365. 7. After that, click on Import data from the Filter your data window. 8. Finally, PST to Office 365 Shared mailbox migration process gets started. And, once the task gets completed, the status of PST file displayed as Success. Note: Make sure you have enough amount of time. Because the complete PST import method takes long hours for completion. When the entire process gets over, then verify whether the data is imported into shared mailbox or not. For this, go through these instructions. 1. Login into Office 365 as a user. Here, we are using renie@cloudsystools.onmicrosoft.com O365 ID. 2. Select Outlook application. Here, you can clearly see the migrated PST file shown under the ‘Support’ shared mailbox and not in primary mailbox. As you see, network upload method has lots of stages in order to import PST to Office 365 Shared mailbox and almost takes long hours for completion. Apart from this, the entire migration process only performed by Office 365 administrator. In fact, many times, the process gets terminated without the completion of import process. The reason behind the unexpected termination can be anything like weak internet connection or presence of bad item in PST file. Due to which the entire import process needs to start from the beginning point. To overcome the limitations of manual procedure, there is an automated software named as Office 365 Import. This tool is developed to migrate content of PST files into Office 365 mailboxes, including shared mailbox. The best functionality of the utility is it maintained the exact folder hierarchy in mailbox that was available in PST file. So, user will receive the same data in similar folder after the migration. Moreover, the user only needs to perform followings clicks and the entire process is done so fast and smoothly. After installing the software, open it. Now, it is mandatory to check the box corresponding to Is Office 365 Admin. After that, enter the Office 365 administrator credentials and click on Login to authenticate the account. The next step is to browse the Outlook data file. For this, the tool provides three different options. Add File(s): This option provides the functionality to select single PST file manually and add into the software. Add Folder: With the help of this option, one can browse complete folder that comprises multiple .pst files. Add CSV: This option is used to add a CSV that consists information like file path, O365 User credentials. Here, we select Add File(s) option. 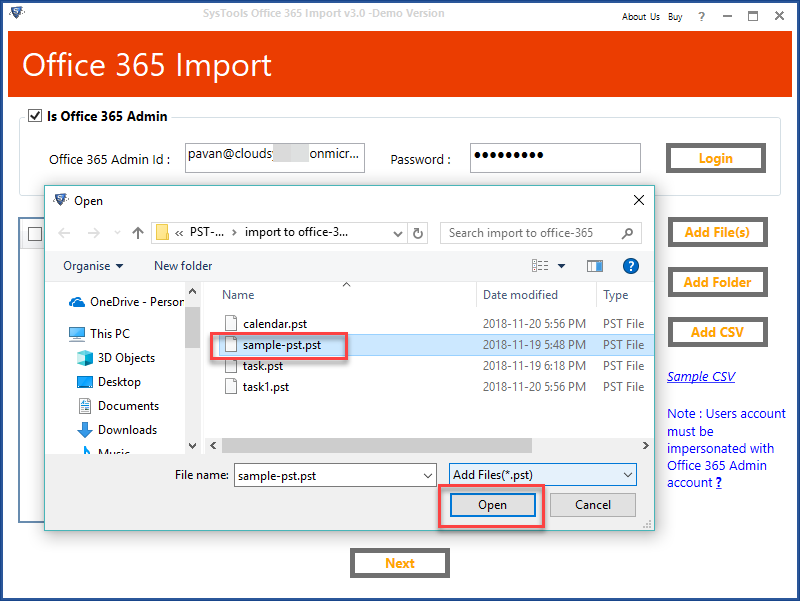 Enter the O365 shared mailbox ID where you want to import PST file. According to the requirement, you can add the desired folder and select the range of data that you wish to import. Along with this, select the following checkboxes as per your need. 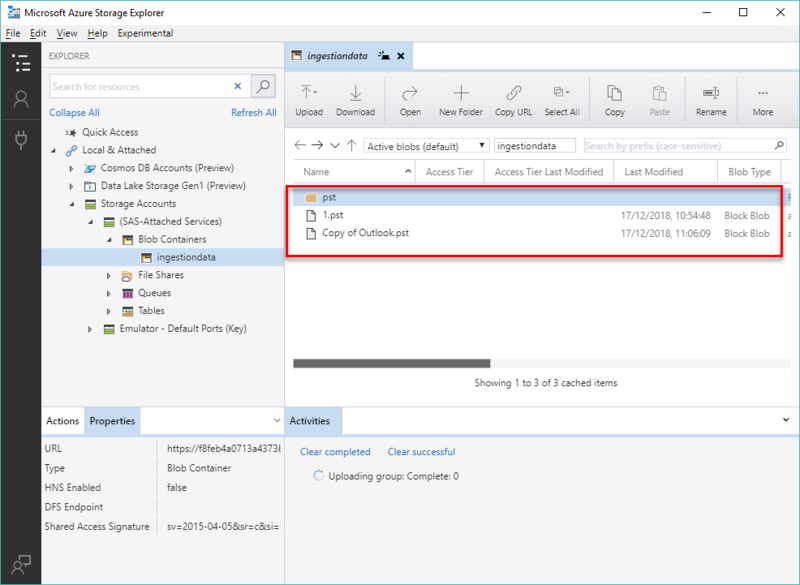 Attach Outlook PST File – This feature creates a separate PST file in Office 365 and maintain folder hierarchy in it. Incremental Import – This option is used to perform increment type of import process. Exclude Deleted Items/Sent Items – This option will not import Deleted items or Sent items content in O365 mailboxes during migration task. Finally, click on Import to begin the process. After the completion of process, a user can save the summary report of entire PST to Office 365 shared mailbox migration procedure in CSV format. Now, open the Office 365 user ID where you migrate the PST file. Here, you can clearly see the PST file imported under the shared mailbox.